Westmere Lodge is a beautiful new home nestled in a forest feel setting within the heart of Manapouri. Back Valley view a touch away. Moments walk to the Doubtful Sound departure point, lakefront beach, store, restaurants and bars. Central living, oodles of comfortable seating surrounding a gas fireplace. Additional air condition heating/cooling. Outlook to grassed yard, tussock and mountains. Indoor outdoor easy flow. Large BBQ under a pagola with outdoor furniture and cushions. The well stocked kitchen, prepared for creative cooking and baking has gas hob, fridge-freezer, dishwasher and oven. One end of this glorious home, has a King Bedroom, with sliding glass door to garden, a separate bathroom and dressing room. Lush bed and bedding. At the opposite end is a separate family area, with their own entranceway, bathroom, dining area and two bedrooms - one a Queen room, the other a twin single. Light, clean, warm and deliciously welcoming. The laundry is at the entranceway - supertub, washing machine and drying rack. Kia Ora and Welcome to Westmere Lodge. I am a long time Manapouri local, happily working within Fiordland tourism, for my years in the area, in roles such as hosting on the now decommissioned 99 year old vessel Tawera, taking freedom walkers and stores across Lake Te Anau to the beginning of the Milford Track. I am familiar with the Fiordland Gems Doubtful Sound and Milford Sound - spending many evenings at both Sounds- and am more than happy to recommend cruises and activities that will fit best with your group's needs. Westmere Lodge is tended to a high standard with all linen laundered at the home. 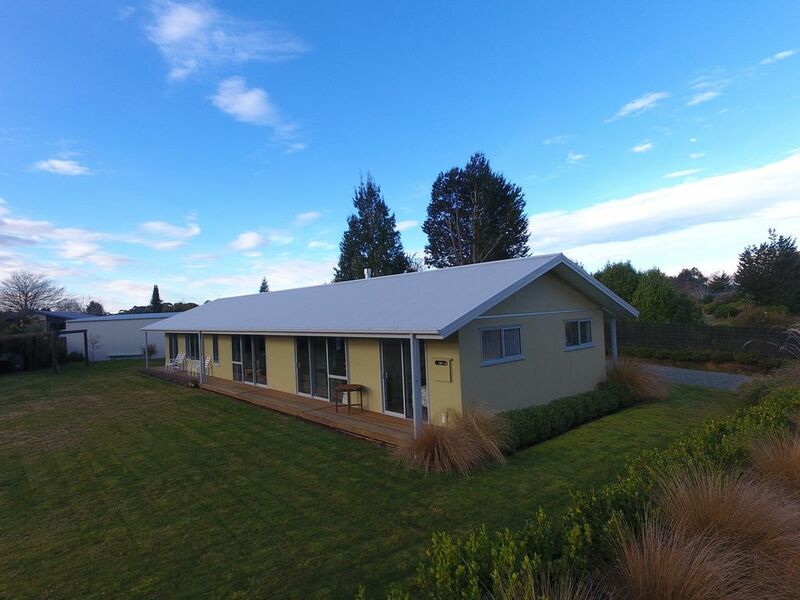 Westmere Lodge is a real home, happily shared so you may truly relax and make Manapouri your base for the duration of your Fiordland adventure. May you enjoy this super home. Westmere Lodge is situated in a newly developing pocket of Manapouri. The entrance is at the end of a quiet cul de sac, off a shared driveway. Birdsong, beautiful views in a peaceful family neighbourhood. Manapouri Village is a sweet wee village on the shores of Lake Manapouri and the Waiau River. Bars, restaurants, petrol station, store and stunning sandy lakefront beach. A touch away. Stunning evening silhouette. All freshly laundered complimentary linen. Full laundry. Iron + ironing board. Outdoor line and pegs. Clothes rack. Garage access for pushbikes, helmets, tennis rackets and balls. Welcome for your use. Wifi password and code at the house. All freshly laundered complimentary towels. Large open plan living area with plenty of comfortable seating. A separate living area/playroom with tv and dvd off the main living area. Fridge freezer - plenty of room. Glass shelves. Gas hob stove top. Modern and clean. Tea, coffee, sugar and an assortment of other basic pantry goods. Plenty of everything you'll require for baking and cooking. Everything you require. Well set up for cooking and baking. Clean and Modern. Breakfast Bar and separate Dining Room looking out to the garden. Sitting for six. Spacious and convenient to kitchen. Two flat screen tvs in each living area. Large yard with tussocked garden. Suncatching, plenty of easy to move, quality outdoor furniture. Suncatching deck with glorious views. Tennis court through nearby walkway (map to walkway at house). Tennis rackets+balls in the garage. The most amazing golf course on the shores of Lake Te Anau - 20 minutes drive. Great place. Recommend to all. Great property with nice amenities. We enjoyed our stay. The house was very spacious and cozy at the same time. We enjoyed the board games and puzzles there was also a very nice fireplace. The house was very clean and there was everything you needed to cook in the kitchen if you desired. Doubtful Sound departure point moment away. Milford Sound 2.5 hours.